We repair all major household Frigidaire appliances. One of the many brands ARV specializes in is Frigidaire appliance services. Our appliance mechanics service the residential suburbs of Metro Vancouver and all surrounding cities with Frigidaire services like refrigerator repair and domestic oven repair is available here. We love Frigidaire fridges and have become accustomed to the rare but fixable problems and malfunctions that may arise from them. It's definitely worth fixing and repairing your Frigidaire appliances in Vancouver, British Columbia, Canada, or anywhere in the world. With philosophy in mind we love the awesomeness of the comfortability that household appliances give us. We're able to wash and cook at home with ease, all thanks to such appliances as a Frigidaire fridge. But all technology stifles hither and yon eventually. That's why we exist. And we love what we do. We're Greater Vancouver's No.1 mobile major household appliance repair company, because we put in the time and love. 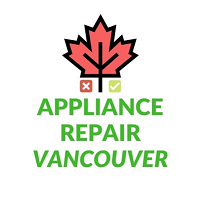 If your Vancouver Frigidaire appliance is not working, if you need Frigidaire general electric appliance repairs and services, our Canadian experts would gladly love to help. Just call or for a friendly, free quote. Frigidaire appliance repair Vancouver BC services come with a 1 year warranty for all major household appliances.